Estonian Environmental Research Centre or Central Lab provides officially recognized laboratory analyses and studies for businesses, private persons and state institutions. Analyses and studies are carried out by EKUK labs in Tallinn, Tartu, Jõhvi, Kohtla-Järve and Pärnu. Environmental studies – analyses of water, soil and air. 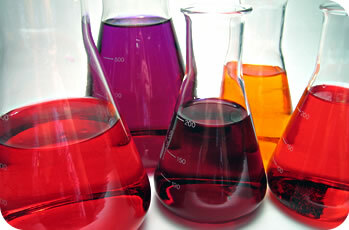 Lab analysis of raw materials and products – food analysis, microbiological studies and customs services. Geotechnical tests in a geotechnical lab and sampling of soil, water, fuel and air. Sampling for environmental studies. Sampling for testing and certifying liquid fuel quality characteristics. Petroleum products and liquid fuels – volumetric measurements and other customs services. Analysis of petroleum products and liquid fuels. Waste water and surface water – measurement of volume flow. Management of environmental projects, environmental studies, environmental impact assessment and environmental audit (see also Estonian Environmental Research Institute). Setting up inter-laboratory comparison testing in the field of waste water. Air studies – monitoring of ambient air, emission gases, ozone depleting substances and fluorinated greenhouse gases. Certification of liquid fuel and fire extinguishing products. Various environmental, chemistry- and physics-related training and consultation. The Central Lab has been authorized by government bodies to perform analyses of food and raw material for food, alcohol, fuel and waste water. The Central Lab has been authorized to operate as a reference laboratory in the field of waste water by a directive of the Minister of Environment and is an accredited inspection body in the field of air quality monitoring. The Central Lab is an accredited testing lab for performing geotechnical studies and has the required state-of-the-art sampling equipment. More on quality and conformity assessment at Estonian Environmental Research Centre.